Isidore the Farmer’s particular brand of piety saw him devoting his life to animals and the poor. While his namesake restaurant St Isidorein the breadbowl town of Milton doesn’t have prices particularly friendly to the latter, its atmosphere is the very definition of agrarian idyll. 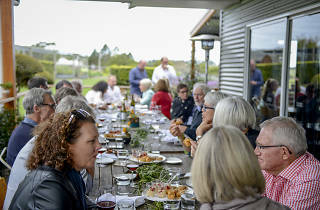 Chef Alex Delly sources most of his ingredients from the Shoalhaven region, and many come from functional gardens (accompanied best by a glass of Sam Miranda King Valley prosecco) before eating his own backyard. Diners are actively encouraged to stroll through their manicured but the fruits (and roots and greens) of their soil. 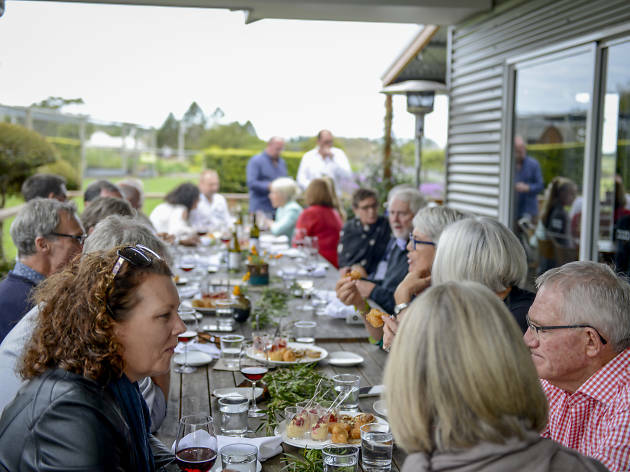 The food tastes best served out on the balcony, in the sunshine, so you can take in the views of the garden, the livestock and the grassy hills that surround it.